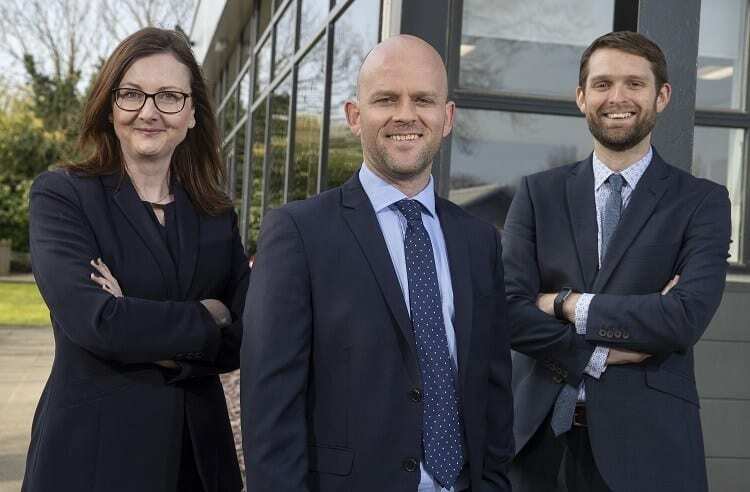 A leading financial services consultancy has promoted three senior team members to partner as part of the company’s wider growth plans from 1 May 2019. Quantum Advisory, which provides pension and employee benefits services to employers, scheme trustees and members, has five offices across the UK. The firm sees Aled Edwards promoted from Principal Consultant & Actuary, Amanda Burdge moving up from Principal Investment Consultant, and Chris Heirene, former IT Manager, join the ten current partners at the firm, which employs 115 people across the UK. Aled graduated from Aberystwyth University in 2001 before qualifying as an actuary in 2008. He has over 17 years’ pensions experience having started his career at a firm in Bristol before joining Quantum in 2011. Aled managed the actuarial team within Quantum’s Cardiff office as well as providing technical training for all staff. This will continue alongside his expanding duties. Aled is also the President of the Welsh Actuarial Society (WAS) which supports actuaries and actuarial students living or working in Wales, having been involved in its establishment. Amanda was one of Quantum’s first employees, joining in 2001, having previously worked in Bristol. A graduate in European Policy and a Fellow of the Pensions Management Institute, Amanda also holds the Diploma in Financial Planning from the CII. With over 25 years’ industry experience, Amanda is responsible for providing investment advice to many of Quantum’s key clients with both defined benefit and defined contribution schemes. Outside of her full-time position, Amanda has worked as an examiner for the Pensions Management Institute and as an adviser for The Pensions Advisory Service. She currently sits on the Regulation Committee for the Pensions Management Institute, overseeing the professional standards of the Institute. Chris graduated from university with a Masters in Mathematics & Physics and previously worked as a software developer with Sony UK and an external IT consultant for several companies – specialising in IT best practice, server installations, network design and business process improvement. Chris initially worked with Quantum as a consultant for over five years before joining the firm in 2011. He is responsible for Quantum’s IT systems across all of its offices, including the network and core server infrastructure which supports the business, and is heavily involved in utilising IT to improve and build upon the processes in place throughout Quantum. Quantum will also see Rob Davies retire this May following fifteen years as a Partner. Rob, a qualified actuary, was instrumental in setting up Quantum’s Investment Division and specialises in helping clients set their investment strategies. Rob will be retained on a part-time consultancy basis and will continue working with several clients in the Fiduciary Manager area. Established in 2000, Quantum Advisory has witnessed exponential growth over the past few years following several major client wins, as demand for its services has risen. The company opened a new office in Bristol in 2016 to service the South West and in 2017 relocated its Cardiff office to a larger site within the Welsh capital to house the increased workforce. More recently, the financial firm also relocated its Amersham, Birmingham and London offices to more spacious premises in the centre of both cities to cope with demand.